The best way to know if moving companies in Tucson, AZ are right for you is to get a taste of their services. Moving Services, Inc. offers just that with their free in home estimates. You will also learn they have the best prices. This is fast and will leave you with a definite cost rather than have you guessing how much the bill will be at the end. 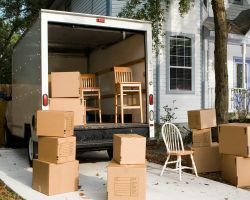 These movers and packers can offer local or long distance moves as well as the option to put your things in storage. 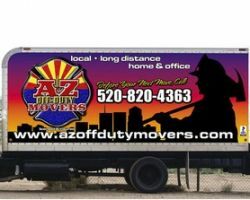 AZ Off Duty Movers is a company of firefighters in Arizona that have dedicated their free time to being part of a team of house movers. The first thing you will love about working with this company is knowing that the movers can be relied on to do the best job possible and that they are totally trustworthy. The second thing you will love is the open business hours. These movers are there when you need them most. They have all of the preparation and organization needed to make your move stress-free. A Able Movers is a moving company is the heart of Arizona that offers both local and nationwide moving services. This company was established in 2000. Since then they have become famous for being upfront with their customers about what they offer and how much it will cost. Reviews say that this approach to moving made the entire process much less stressful. Whether you simply need assistance moving the larger furniture or would like them to move all of your possessions and belongings, this team is there for you. Around The Valley Moving is one of the most straightforward Tucson movers. They clearly present their hourly rates per moving team member working, the charge for the truck, and more. They offer specifics about their experience, even going so far to say that they are able to carefully move larger, more precious items like a piano. 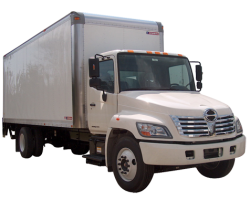 This local moving company is also experienced with office and apartment moves. With free estimates and affordable rates, choosing this company means having a trustworthy service that doesn’t break the bank. 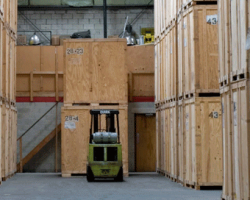 Professional commercial and residential moving is available from SunDance Moving. This company works to not only move your possessions but to make the process of doing so as painless as possible. They do not want you to stress, which is why they draw on their 35 years of experience to implement an organized and careful move that will have you settled into your new home quickly. For relatively cheap prices you can have an expert team pack and move your things.